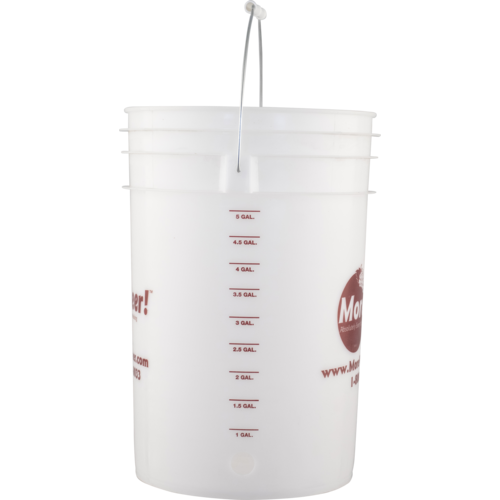 A six gallon food grade bucket for fermentation or bottling with a pre drilled hole and external volume markings up to five gallons. This bucket does not include a spigot. Our recommended spigots can be found below under You Might Also Need. 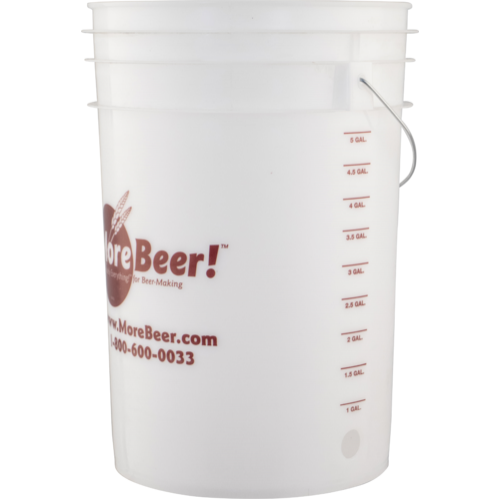 To use as a fermenter you will need to pick up the optional lid, spigot, stopper, and an airlock. If you use the bucket for fermentation be sure to use care when cleaning. Do not use any abrasive pads that would scratch. Once you get a scratch in a plastic bucket it is very hard to sanitize. This is also why we don't recommend storing equipment in a bucket between uses as a fermenter. 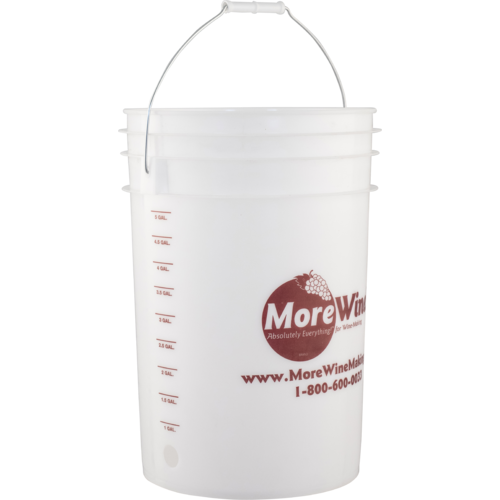 A hot PBW soak is often a perfect way to clean a bucket, followed by a Star San soak for killing bacteria.